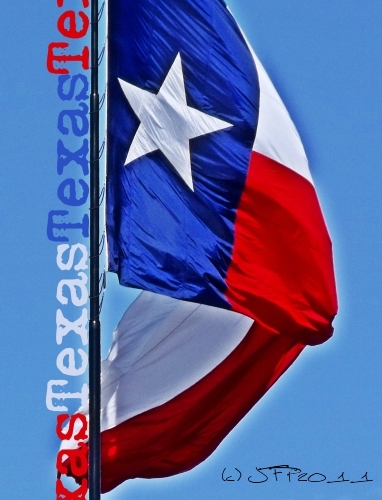 * By Federal Law, Texas can fly its flag at the same height as the U.S. flag, because we were a republic before we became a state. * Texas is 183 men standing in a church, facing thousands of Mexican nationals, fighting for freedom, who had the chance to walk out and save themselves, but stayed instead to fight and die for the cause of freedom. That is the Spirit of Texas! * Texas is Sam Houston capturing Mexican General Antonio Lopez de Santa Ana at San Jacinto. That is the Spirit of Texas! * The World’s largest parking lot is located at DFW Airport. * Dallas' corner of Elm and Houston streets has a sordid history. The building completed there in November 1898 was struck by lightning and burned to the ground in May 1901. By the fall of 1901 it was rebuilt. In that same building 62 years later, Lee Harvey Oswald allegedly shot President Kennedy from the sixth floor. More land is farmed in what state than any other?